Using a high-quality hydraulic pump can help improve the efficiency of your machinery by making fluid pressurization and hence power delivery more stable. Naturally, you’ll want to get the very best pump for your equipment in order to realize this important benefit! 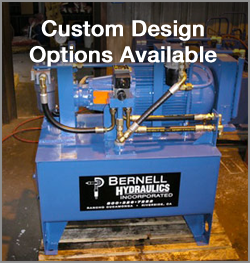 It can be hard to figure out which pump to purchase, but the job gets easier when you ask for advice at Bernell Hydraulics. Our helpful staff will be happy to explain the pros and cons of different types of hydraulic pumps in Norco CA and help you weigh the benefits of switching to a different brand for your next pump. While we do pride ourselves on providing quality parts at a reasonable price, that’s not all you get when you shop with us. We also offer onsite installation for your new hydraulic pump, which helps ensure that it gets set up correctly and can perform at top level. We also offer diagnostics and maintenance for your hydraulic system, which helps identify problems before they have a chance to cause a failure.